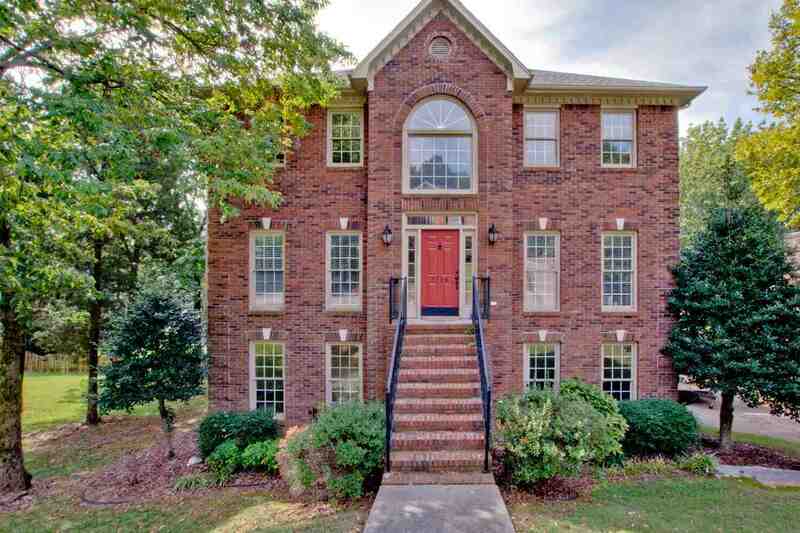 Executive style home that features full brick, open floor plan & basement! Open floor plan with updated kitchen, granite, tile back splash & stainless steel appliances! Kitchen is open to family room w/ wood burning fireplace and updated hardwood floors. Spacious office or formal living room. Dining room w/ hardwood floors. Spacious master with vaulted ceiling. Updated master bath w/ 2 vanities, separate shower & soaking tub. Walk out basement with large bonus room and lots of closets! 2 outdoor decks that are great for entertaining! Large mature trees and fenced in back yard!